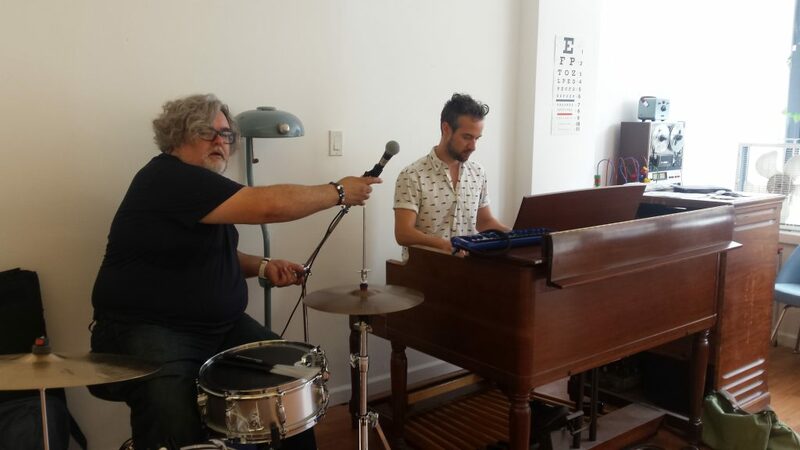 At Opticianado, our love for music and the Junction community goes hand-in-hand with our passion for eyewear. We are therefore proud to host monthly live music events featuring a variety of rad Toronto musicians, and welcome everyone from existing clients to anyone spending a Sunday afternoon in our vibrant and ever-growing neighborhood. This month we were lucky to have musical duo DO! (Chris Cawthray and Simeon Abbott) here on drums and our very own Hammond B3 organ. The shop was bustling with everyone scoping out our new collections of new and vintage frames while taking in some sweet tunes. If you want to keep up with our monthly music events, it’s as easy as subscribing to our e-newsletter with your e-mail or giving us a follow on Instagram (@opticianado). It’s the best way to stay up to date not only on our live music, but with trunk shows, new stock, staff picks and more! Our next event is scheduled for Sunday July 23rd from 1 – 4pm with local musician Taylor Abrahamsen. Don’t miss it!